People with eating disorders often exhibit serious misconceptions about their own body image. 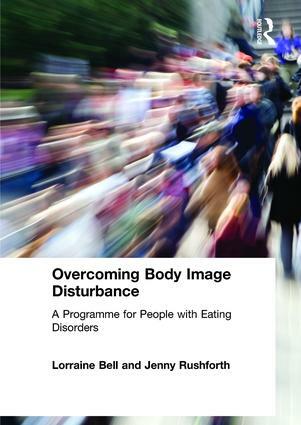 Overcoming Body Image Disturbance provides a treatment programme (piloted by the authors) for people with eating disorders who have a negative body image. The manual offers advice for therapists, enabling them to deliver the programme, as well as practical guidance for the sufferer, encouraging them to learn the appropriate skills to change their attitude towards their body. coverage on innovative techniques and approaches such as mindfulness. This manual – intended to be used with close guidance from a therapist – will be essential for all therapists, mental health workers and counsellors working with clients who have negative body images. "Workbook resources can be downloaded free of charge by purchasers of the print version."